Game clock's ticking! 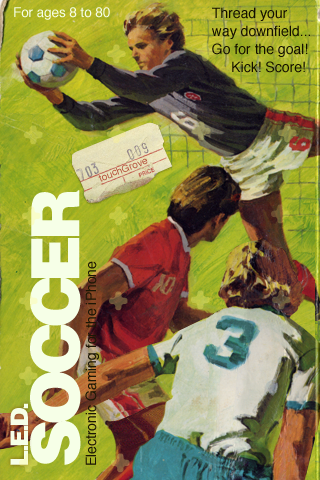 You thread your way downfield.Go for the Goal! Beat the computer-controlled defense. 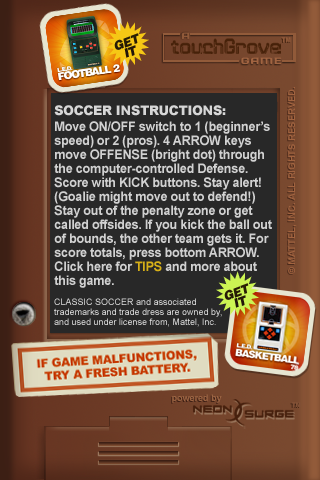 *Simulated sounds include "officials whistle" and "Ole Ole" - "The official Soccer Anthem"
* New iPhone 4.0 Hi-Rez Icons * Updated Back Graphics * Bug fixes * Please review every update so we receive your feedback!